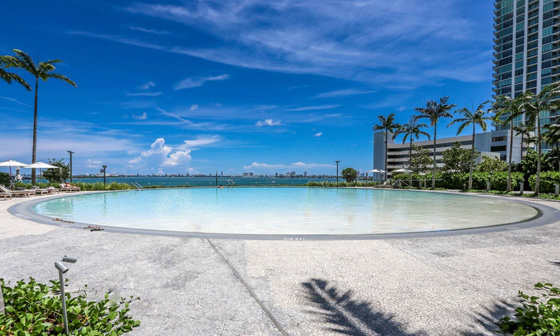 Paraiso Bay Residences is currently on the market with 4 spectacular residential towers: One Paraiso, Paraiso Bay, Paraiso Bayviews and Gran Paraiso, recently completed. All offer incredible views of Biscayne Bay and luxury condo units with configurations from 1 Room up to large Penthouse units with 4 rooms. Located in the new Edgewater area in Miami, this spectacular residential complex is steps away from Midtown, Wynwood and the Design District. 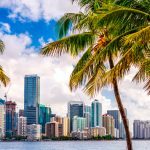 Also only 10 minutes away from Brickell and Downtown Miami and 15 minutes from Miami International Airport and the Miami beaches. 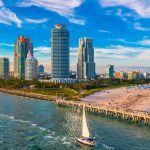 This new area is surrounded by other no less striking and luxurious towers built in this new construction cycle, such as Biscayne Beach, Icon Bay and Aria on the Bay. There are also two other important residential developments under construction: Missoni Baia and Elysee Residences.. 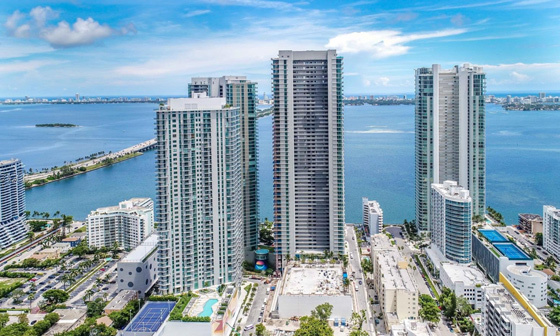 The Paraiso Bay District has 4 residential towers with a very original design, although the original bubbles in the representations are not as noticeable, even so the buildings maintain an impressive presence in the ever changing skyline of Biscayne Bay. Ninety Five percent of the units in these four real estate development towers have already been sold by the developer, the prestigious Related Group, due to the successful reception that this unparalleled residential complex has had on the market. Many residents have already occupied the units since the beginning of 2018 and enjoy the common areas and lifestyle in three of the towers, with mixed comments but with a positive outlook in general terms. In the four residential developments, the behavior of the market has been very moving as expected. In Gran Paraiso, the only tower still under construction, with daily closings and expected delivery for February and March 2019, there are still a few developer units and it is the only one not yet inhabited. 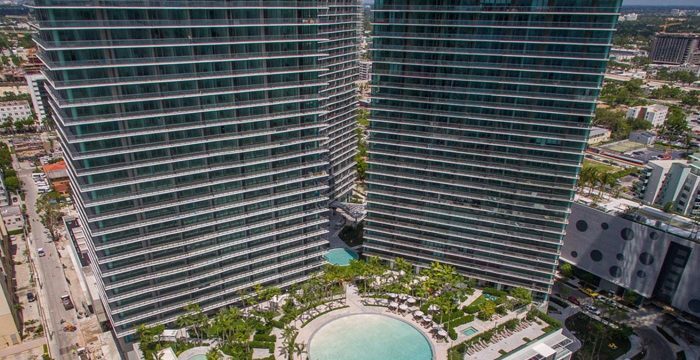 Since its completion in 2018, the first tower, Paraiso Bay has sold units of 1510 square feet for a value of $ 582,000, that is, $ 385 per square foot. Other units of 2230 square feet have sold for $ 1,100,000 ($ 493 a foot) and those of 1140 square feet for $ 515,000 ($ 452 a foot). In the last 3 months 9 condominiums have been sold and another 2 are under contract. In One Paraiso, the second development, perhaps the most desired due to its direct proximity to the bay and its semi-private elevators, there are opportunities for sale of 51 condominiums for a price between $ 740,000 and $ 3,599,000. Another 40 condos are available for rent in between $ 3,000 and $ 15,000. The average price of the units is $ 692 x ft2 ($ 7,451 x M2) and the units sold so far have an average value of $ 582 x ft2 ($ 6,267 x M2). Of these, 2 have been sold in the last 3 months. The third development, Paraiso Bayviews, consists of 26 resale condominiums with prices ranging from $ 349,999 to $ 1,410,900. Another 62 condos are now available to rent with prices ranging from $ 1,975 to $ 6,800. The average value of these units is $ 508 x ft ($ 5,465 x M2). Here units have been sold for a price of $ 320,000 and a beautiful penthouse with a size of 2,551 square feet. It has storage space, 2 parking spaces, spacious and well distributed rooms, among other benefits. The four towers offer family recreation areas, playgrounds, cinemas, swimming pools, gymnasiums and spa, with luxury finishes in the interiors of the residences. However, each tower has its own private amenities and spaces for the enjoyment of its residents, with One Paraiso and Gran Paraiso the most luxurious and varied. Paraiso Bayviews, however, has a great factor that the other towers do not have … a swimming pool on the top floor, with incredible views of the city and the water, and the ability to rent apartments for shorter periods. 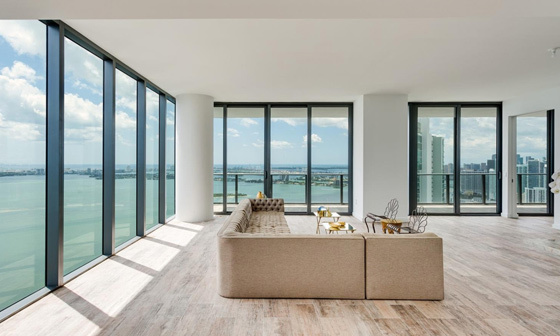 All residences independently are elegant, comfortable and spacious units with incredible views of the bay, Italian kitchen furniture, modern kitchen appliances, sliding glass doors from floor to ceiling, impact resistant windows and doors. For greater comfort and to appreciate the captivating landscape, the units have extra-large balconies 8 feet deep. The ceilings are 9 feet high and each unit has an assigned parking space. Appliances including Sub Zero refrigerators and Bosch have been installed in each one. Except in the case of the first levels of Paraiso Bayviews, in all units you can enjoy the beauty of Biscayne Bay and in the case of units on floors above level 30, the Atlantic Ocean behind Miami Beach, taking the possibility of enjoying the sunrise on the beach daily. The Paraiso District has a singularity and it’s the gastronomy offered to its residents and guests. The restaurant facing the water, Amara and its chef Michael Schwartz, who give a touch of distinction and special category to this real estate development. Schwartz, besides being a famous chef in the United States, is the author of several cookbooks. This exclusive restaurant open to the public in its lower level and exclusive to the residents of Paraiso on the second level, is a spacious and elegant place to taste exquisite dishes of international cuisine, designed by Meyer Davis Studio. 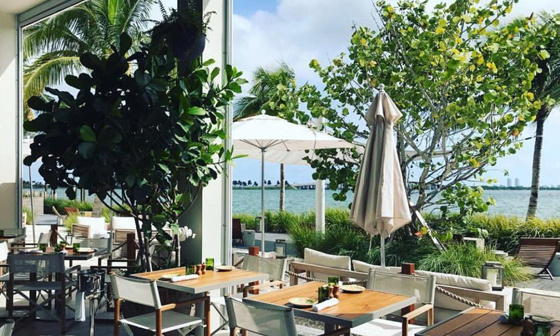 It has a cozy bar and a sober and refined dining room with tables inside or outside and a view of Biscayne Bay. Currently under construction, and next to the luxurious restaurant, the “Paraiso Park” is under development for the enjoyment of the residents of the 4 towers and the entire Edgewater area. Paraiso Bay District marks a before and after in new developments facing water and its an excellent investment and housing opportunity, although at this moment the market, due to the large number of developed apartments, shows a slight movement in prices, thinking long term or looking for great opportunities to live in front of the water, Paraiso Bay Miami is an excellent option. For more information or a real estate professional advice with our agents, contact us and one of our agents will contact you as soon as possible.